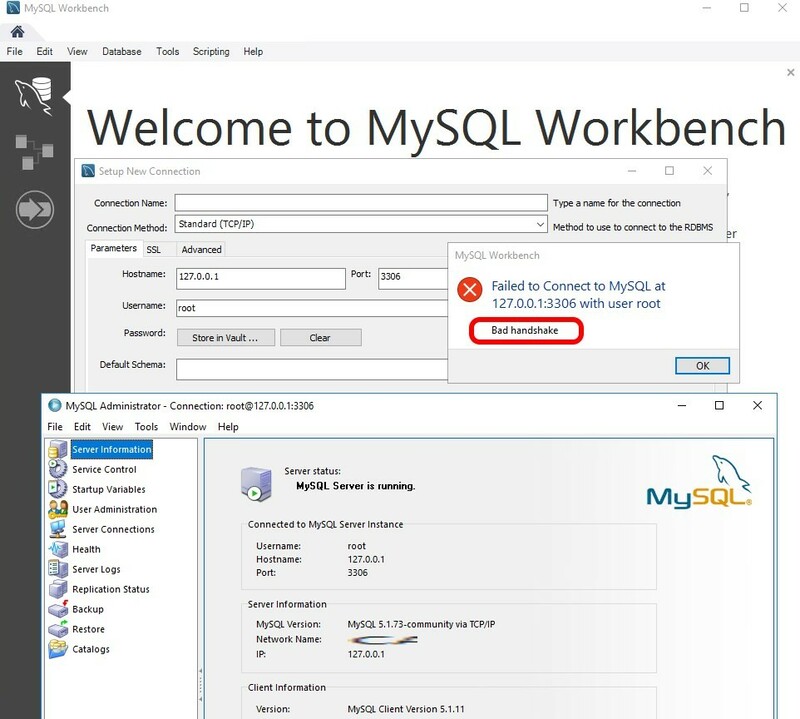 If you see FAILED TO CONNECT TO MYSQL – BAD HANDSHAKE in MySQL Workbench, your database is likely unsupported. MySQL Workbench only supports MySQL databases version 5.1 and newer. Fortunately there is an easy way around this. Use the old MYSQL ADMINISTRATOR tool as shown below. In my case I was trying to open a MySQL 5.1 database for a clients WordPress installation with MySQL Workbench 8 and that did not work out :). You can download MySQL Administrator (aka. MySQL GUI TOOLS) directly from the good people at MySQL HERE.